Recovering heroin addict, Rebecca Kaczynski, 23, recently celebrated two years free of illicit drugs and works as a recovery aide. 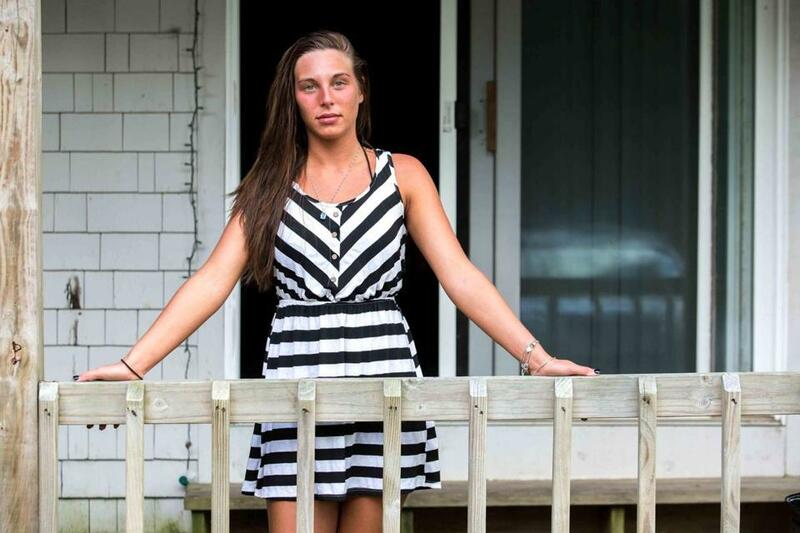 Rebecca Kaczynski doesn’t fit the traditional image of a heroin addict. The daughter of a bank vice president and an assistant school principal, she grew up in a loving, intact, upper-middle-class family in the Central Massachusetts town of Dudley. The 23-year-old does, however, fit an emerging demographic described in a federal study of substance use trends released Tuesday: Women, people age 18 to 25, and those with higher incomes and private insurance have been increasingly falling victim to the drug. The data also show that heroin goes hand-in-hand with addiction to prescription opioids. And that’s how it happened for Kaczynski. She said she started taking painkillers at high school parties and moved on to heroin by age 20, flunking out of college and eventually ending up in rehab. Tuesday’s report from the US Centers for Disease Control and Prevention and the Food and Drug Administration, which analyzed survey data spanning 2002 to 2013, found heroin use soaring among all groups. Heroin overdose deaths nearly quadrupled during that period, with most of the increase since 2011. The group was commissioned with tackling the crisis, which claimed more than 1,000 lives in Mass. in 2014, by the governor. Those most likely to turn to heroin still tend to be men, people with an annual household income less than $20,000, Medicaid recipients, and the uninsured. But the gap is narrowing between those groups and people who historically were less likely to use the drug, according to data from the National Survey on Drug Use and Health. 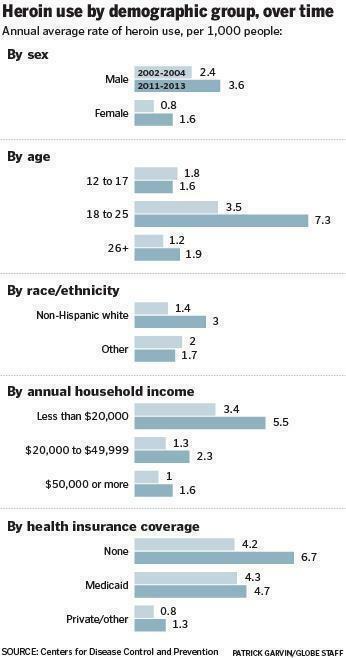 Heroin use doubled among women and more than doubled among non-Hispanic whites. It increased dramatically among people with incomes above $50,000 and with private health insurance. The federal report “confirms what we know in Massachusetts and what the governor’s working group learned in the listening sessions,” said Marylou Sudders, the state’s secretary of health and human services, referring to the study group that last month produced a 65-step plan for fighting opioid abuse. The report found that nearly all people who use heroin take other drugs as well, often three or more. Those who take prescription opioids are most at risk of heroin abuse. But other drugs were also linked to heroin, including cocaine, marijuana, and alcohol. “Heroin use is increasing at an alarming rate in many parts of society, driven by both the prescription opioid epidemic and cheaper, more available heroin,” Dr. Tom Frieden, CDC director, said in a statement. To address heroin use, the CDC says, states must combat prescription drug abuse; make treatment more readily available, particularly drugs such as methadone or Suboxone that can quiet an addict’s cravings; and expand access to naloxone, the drug that reverses opioid overdoses. Sudders said that within two weeks, the state will begin soliciting proposals to improve its prescription drug monitoring program. It maintains a database of opioid prescriptions that doctors and others can consult to determine whether a patient is obtaining drugs from multiple providers, but doctors have complained that it is cumbersome to use and not kept up to date. 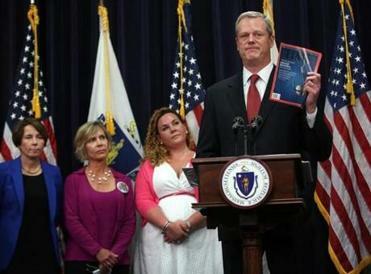 Governor Charlie Baker, Sudders said, will soon present the Legislature with a package of bills that allow bulk-purchasing of naloxone — widely known by the brand name Narcan — to make it less expensive for municipalities. He also will propose allocating $27 million for new services and prevention programs. Raymond V. Tamasi, chief executive of Gosnold on Cape Cod, an addiction treatment provider, said he has seen a changing clientele. “A much greater number of folks who are addicted are now coming from middle, upper-middle socioeconomic brackets. We’ve seen this for some time now,” he said. Tamasi and others attribute the trend to the rampant prescribing of opioid painkillers over the past two decades. Middle-class and wealthy young people have easy access to pills at home and school and perceive them as less dangerous than street drugs. Those with a biologic predisposition to addiction get hooked and turn to easily available heroin when they can no longer afford pills. “For many years, the stigma associated with addiction, the misunderstanding about addiction, the moralistic perspective that many folks had, really kept it in the shadows of health care,” Tamasi said. Now, with heroin entering the mainstream, the public has come to better understand the nature of addiction, and policymakers are poised to act. Though he wishes the change had come sooner, Tamasi said he is “gratified” to see it happen. Maryanne Frangules, executive director of the Massachusetts Organization for Addiction Recovery, a group of people in recovery from addiction and their friends and relatives, also sees a change in attitude. “It seems like there’s a tide that’s turning. People do want to speak up about the value of recovery,” she said.